Proof Of Concept Years is first in my series, Potential Renal Acid Load Timeline. So this timeline follows published food research showing how Remer and Manz developed PRAL. In future PRAL timelines, you will see how PRAL has become the world standard for measuring Alkaline Diets. Then you will see how useful PRAL is for many diseases. Because it can be used as an assessment tool during diagnosis. Also, PRAL can help measure treatment progress where diet is strongly linked to a disease. 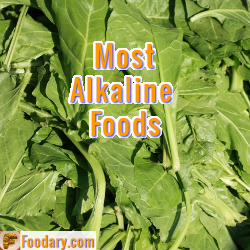 Below, I list the diseases shown to be helped by a PRAL-based alkaline diet. In summary, these are: Bladder stones, Kidney disease, Kidney stones, Osteopenia (bone weakness), Osteoporosis (Porous bones), and Urinary tract stones. Citation: Remer, Thomas, and Friedrich Manz. “Potential renal acid load of foods and its influence on urine pH.” Journal of the American Dietetic Association 95, no. 7 (1995): 791-797. This calculation methodology, primarily based on PRAL, allows an appropriate prediction of the effects of diet on the acidity of urine. Note: Kidney stones can also pass to the bladder and urinary tract. So urolithiasis covers all these related stones. Citation: Barzel, Uriel S., and Linda K. Massey. “Excess dietary protein can adversely affect bone.” The Journal of Nutrition 128, no. 6 (1998): 1051-1053.
excessive dietary protein from foods with high potential renal acid load adversely affects bone, unless buffered by the consumption of alkali-rich foods or supplements. Notes: Osteopenia is low bone density, but not low enough to be considered osteoporosis. Citation: Remer, Thomas. “ACID‐BASE IN RENAL FAILURE: Influence of Diet on Acid‐Base Balance.” In Seminars in Dialysis, vol. 13, no. 4, pp. 221-226. Blackwell Science Inc, 2000. Main Disease: Urinary stone disease. Because urine pH is a relevant risk factor in most types of urinary stone disease, a dietetic manipulation of renal hydrogen ion excretion would be advantageous for a number of individuals at risk. Also, patients with poorly functioning kidneys in whom metabolic acidosis is a common manifestation of an impaired renal capacity to excrete the daily produced acid could benefit from specific dietetic means that reduce daily acid load. Notes: PRAL Urinary Stones and Kidney Disease PDF will soon be available to active Foodary members. Citation: Trinchieri, Alberto, Giampaolo Zanetti, Anna Currò, and Renata Lizzano. “Effect of potential renal acid load of foods on calcium metabolism of renal calcium stone formers.” European Urology 39, no. Suppl. 2 (2001): 33-37. The urinary calcium excretion of renal stone formers seems to be dependent on dietary acid load rather than dietary calcium intake. In patients consuming an acidifying diet, a restriction of calcium intake could increase bone resorption leading to a progressive bone loss. Citation: Manz, Friedrich. “History of nutrition and acid-base physiology.” European journal of nutrition 40, no. 5 (2001): 189-199. In the new physiologically based terminology of systemic acid-base status, the relationship between blood acid-base status and net acid intake or excretion was, however, incorrectly simplified. In the 1970s metabolic acidosis was observed in patients on chemically defined diets and parenteral nutrition. Notes: Manz takes a swipe at the denialists who stick with outdated estimates of kidney acid load. Unfortunately, it isn’t recognized widely enough. Because the old concepts are still being used to promote poor nutrition advice. I wonder what Potential Renal Acid Load means to you. Are you just discovering this modern standard? Or are you excited to improve your health with an alkaline diet based on PRAL? Please share your PRAL questions, experiences, and opinions. My next PRAL timeline covers the years when nutrition researchers around the world started to adopt Potential Renal Acid Load scoring. So start reading PRAL Timeline: Early Adoption Of New Standard now.